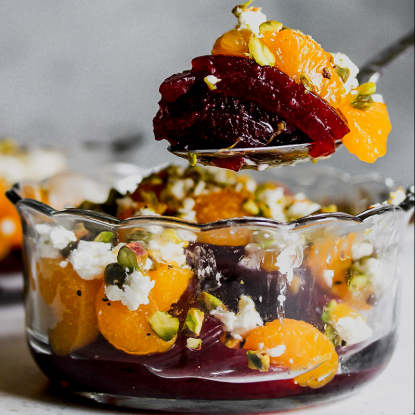 Before tossing those leftovers or making yet another dry turkey sandwich the day after Thanksgiving, consider one of these delicious options when asking yourself what to do with Thanksgiving leftovers. 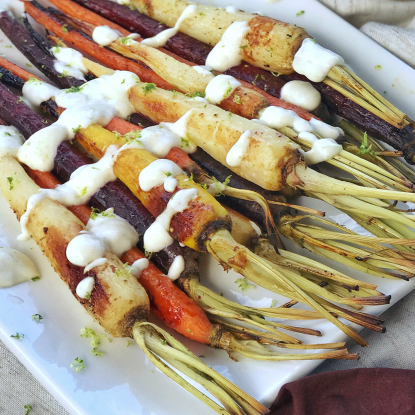 Thank you fairlife milk for sponsoring this post so I could share these delicious, holiday leftover recipes with you. All opinions are my own. In Alabama, the biggest day of the year comes just a two days after Thanksgiving–the Iron Bowl. If you’re unfamiliar with college football, this is The University of Alabama versus Auburn University rivalry football game…it’s kind of a big deal. Since this year is predicted to be a bit on the chilly side (no pun intended), chop extra turkey and use it in place of traditional ground beef in your chili. 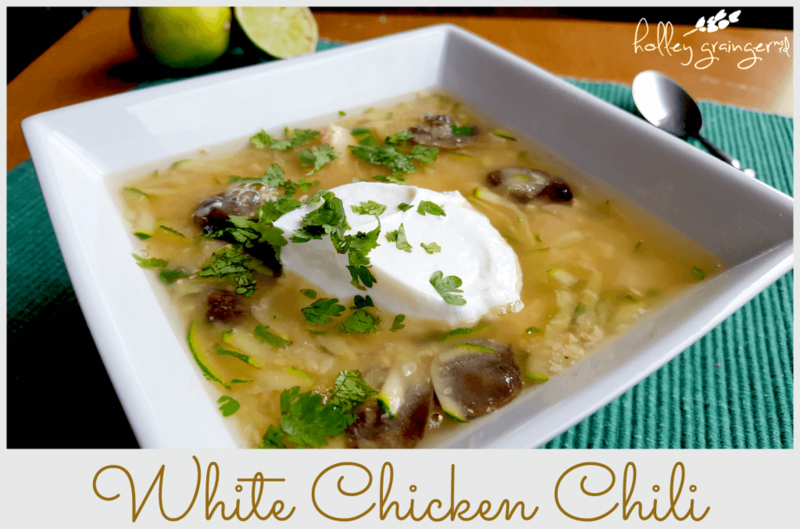 Or, swap the chicken for turkey in my Easy Slow Cooker White Chicken Chili. The recipe calls for raw chicken so just add the cooked turkey during the last hour of cooking. Want more chili recipes? Here are 10 more slow cooker chili ideas to choose from! Think about it….when you make oatmeal, what do you normally use? Oatmeal and water and dress it up from there, right? There are two major swaps I want you to make. First, replace the water and use fairlife milk. By adding milk to your oatmeal, you’re not only making it more delicious but by adding fairlife ultra-filtered milk, it’s even more nutritious. fairlife uses a one-of-a-kind filtration process which boosts the natural protein and calcium in milk and is lactose-free. One cup of fairlife milk contains 13 grams of protein and half the sugar. Plus, it adds 9 vitamins and minerals and no artificial hormones. Second, after you make your oatmeal with milk, stir in a few tablespoons of sweet potato casserole and you’re ready to eat. 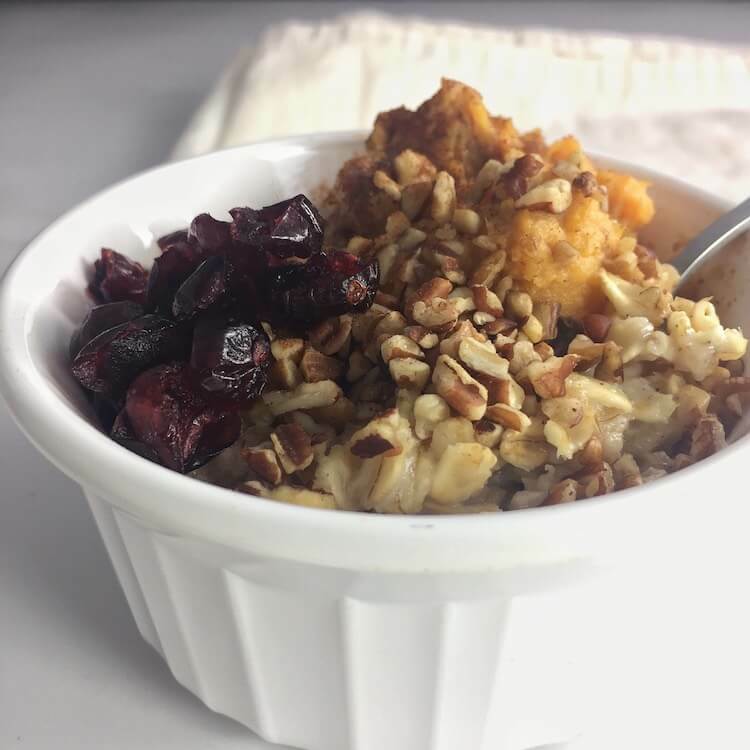 The casserole already has sweeteners and cinnamon so no need for those and the sweet potato adds a boost of veggies to your breakfast or snack. It’s a win-win-win! Cranberry sauce, whether from the can or from fresh berries, can turn a basic morning smoothie into something majestic and magenta. Plus, when you make this smoothie with fairlife milk you pack in more protein for less sugar. I like to blend together cranberry sauce, fairlife milk, a banana, baby spinach and ice for a cold and refreshing breakfast. 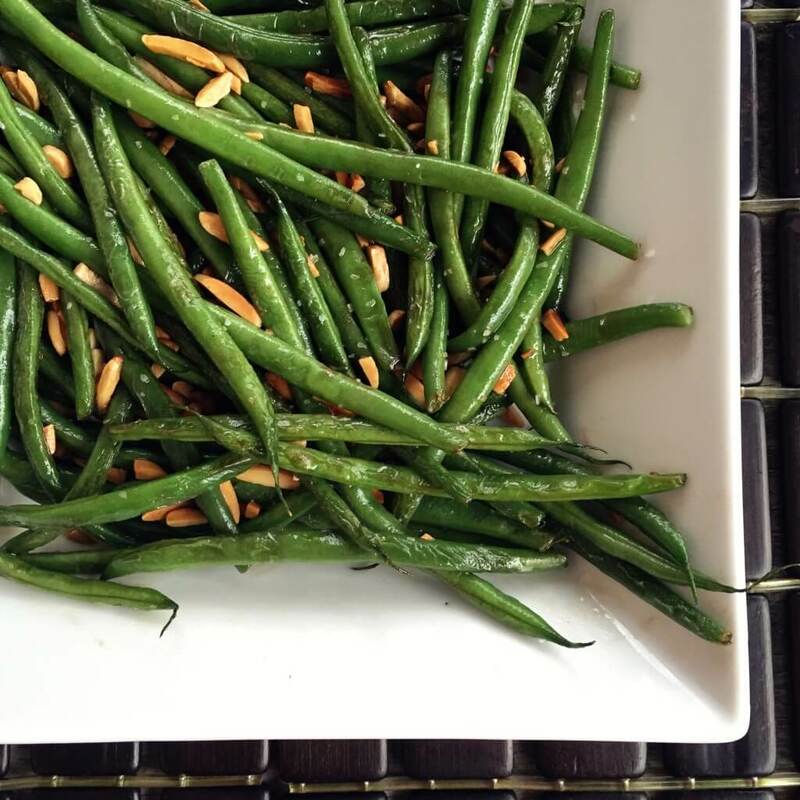 Remember those scraggler green beans that either were over purchased so you didn’t even cook them or that were steamed or roasted but never eaten? Don’t toss them! In fact, bring them back to life by tossing in browned butter and sprinkling with almonds. Simple and easy! You can also chop them and toss them in an omelet for an easy way to add more veggies to your morning. I have to give credit to my friend and amazing chef, recipe developer, and food stylist, Nicole McLaughlin, for developing this recipe, Thanksgiving Leftovers Breakfast Casserole for MyRecipes.com. She told me about it a few weeks ago but I wasn’t so sure how it would all go together. I just watched the video and it looks so good! I never would have thought to use turkey, gravy, and stuffing in a breakfast casserole. 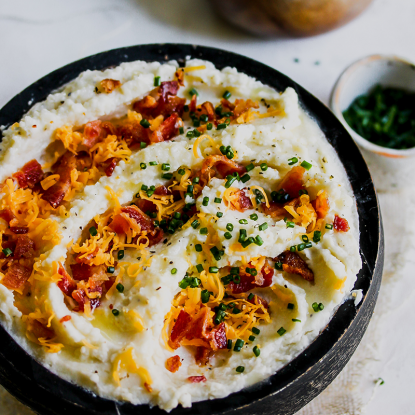 When you’re making mashed potatoes, don’t trash the skins. Save them and then stuff with veggies, cheese, mashed potatoes and an egg. 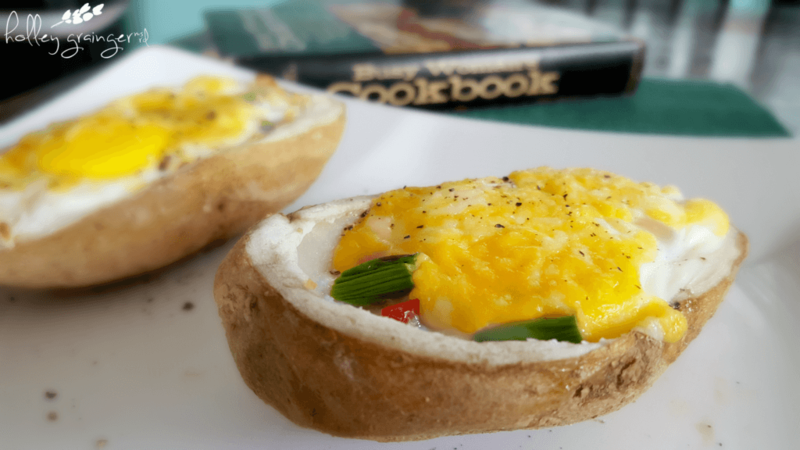 These potato pockets make an nutritious breakfast or light dinner. 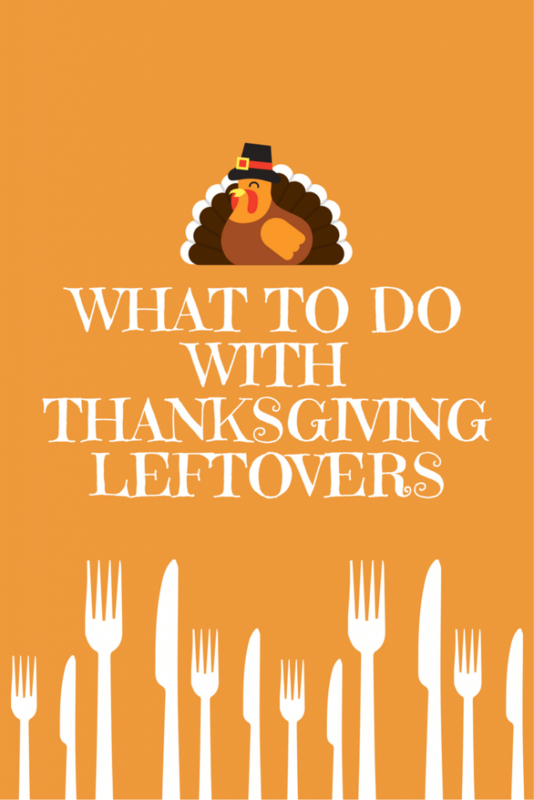 How do you like to use your leftovers?